We had a great weekend visiting my in-laws in Saint Louis. 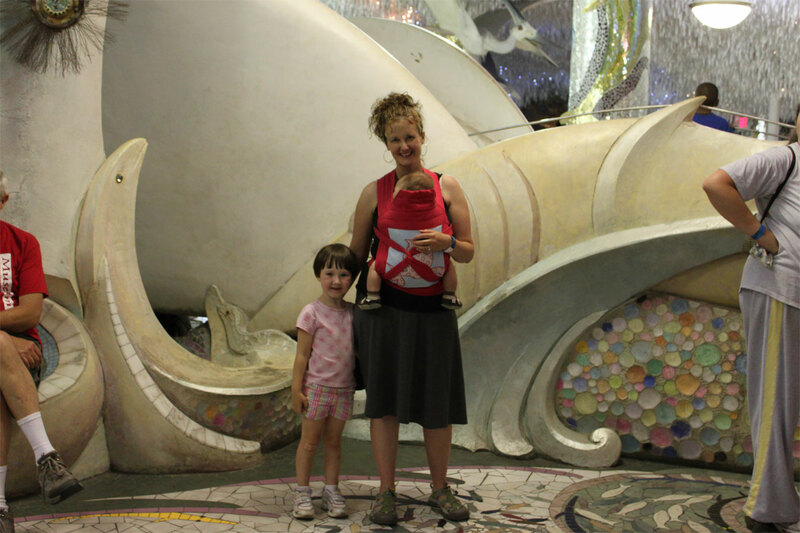 We took the kids to the City Museum, and it had to have been one of the most interesting kid-oriented places I’ve ever been to. Things to climb on and through, slides everywhere, secret tunnels. We had a nice time and the travel part went okay, all things considered. Yesterday was back to real life in hurry, although it was our wedding anniversary. 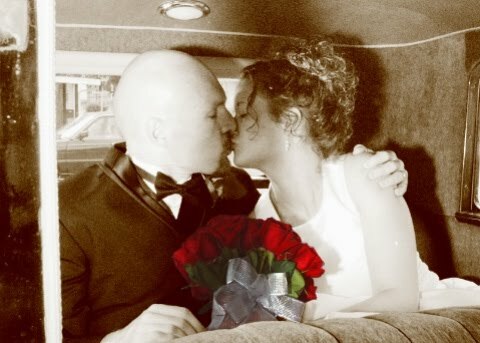 Seven years ago today we were driving back up to Chicago to unpack and repack and leave for our honeymoon! We had so many boxes of gifts (crammed into our car and the cars of guests who also drove down from Chicago) that they filled an entire wall in my little apartment. What a generous way for our family and friends to send us off into married life! We unwrapped and made a list, but left them boxed along the wall until we moved into our house in August. I took almost a whole year to send thank-you notes. I celebrated my anniversary yesterday with a pleasant if not-so-romantic dinner out with my parents and kids, while my husband taught a night class. There will be other years for romance. But Rob did keep with his tradition of purchasing a “traditional” gift for me, according to anniversary gift charts. He has fun thinking of something that fills the requirement and makes me happy. I particularly liked year 3–leather. He bought me cowboy boots! This year was copper or wool, which was almost too easy. The good people at Grinny Possum helped him out, and I’ll be sporting beautiful handmade woolens this fall just for me. Now I’m turning my attention to our house. 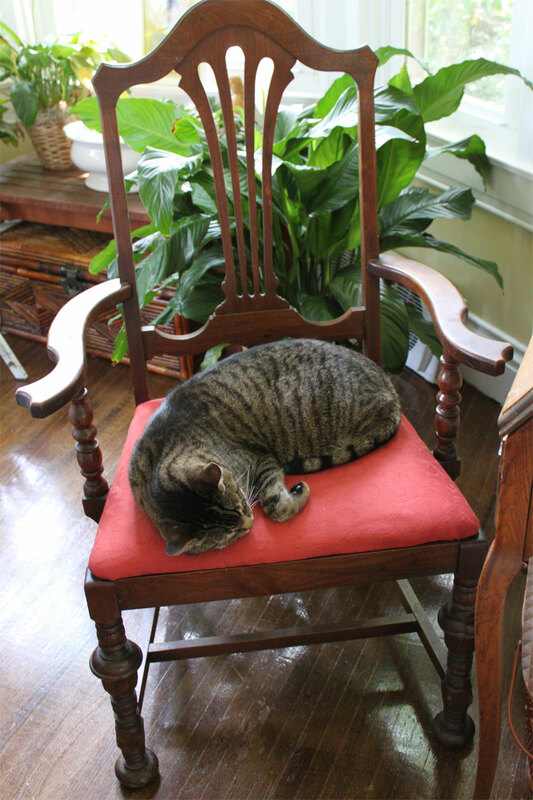 We rescheduled our open house for this coming weekend, and I’m really trying to get the place in shape for a good showing. I’m washing curtains, scrubbing nooks and crannies, driving myself crazy. One of yesterday’s projects was recovering our dining chair pads with new fabric. The others ones had gotten too worn from years of use and accumulated car fur. They never looked nice even after a good cleaning. These at least looked good for about four minutes, until the cats realized they were done!